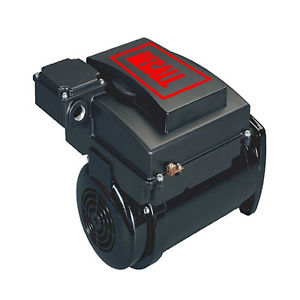 If you’ve been shocked by your pool pump/motor, we can help you fight for compensation. Do You Know Thousands Are at Risk for Swimming Pool Electrocutions from Recalled Pool Pump Motors? Pool owners may have the idea that because they have their pools serviced and maintained every year, their pool users are safe. But ungrounded pool pump motors pose the serious threat of electrocution. When a device or product is defective, improperly installed or maintained, or if a component of that device is worn or frayed, anyone who comes in contact with water charged with an electrical current is at risk of electric shock drowning. This goes for other common pool devices like filters, lighting, and vacuums, and products that may be used near the water, such as radios. Electric shock drowning is caused when the water you enter is charged with an electrical current. Victims may suffer a paralysis that prevents them from being able to swim to safety. But electrical currents in the water can’t be seen, so you would have no idea of the danger before you jump in. Pump motors and lighting that is improperly grounded, products with defective wiring, and wiring that has worn from age or damage all pose a significant risk of electric shock drowning. Unfortunately, when someone enters water charged with an electrical current, they may simply get very quiet and slip under the water. Often these types of deaths are categorized as drownings, instead of electrical shock drownings. But as more people learn about electric shock drowning, the more accurate reporting may become. When a victim enters water with an electrical current, the water can overwhelm the electrical impulses of the body, including those that make our muscles move. If the current is weak, the victim may notice a tingling sensation that saps their strength. If the current is strong, the victim may not be able to wave their arms or call for help. Their bodies may lock up, they may have a distressed or panicked look on their face, and they may go limp. A video of three children playing in a pool shows how silent victims may be and how quickly they can succumb. There is a risk of electric shock drowning in any freshwater body of water that can be contaminated with electricity, including backyard swimming pools, public pools, hot tubs and spas, water parks, hotel and resort swimming pools, and even natural and manmade lakes. If water and electricity can mix, there is a risk of electrocution including around boats and docks. There are several important steps you can take to help reduce electric shock drowning hazards. Ensure all electrical devices that will be near water are installed and maintained by electricians who are certified through the standards established by the American Boat and Yacht Council. A lifeguard died of electric shock drowning after a pool pump motor malfunctioned and the circuit breaker failed to cut off the flow of electricity due to a corroded wire. The family of the lifeguard is suing an electrical motor repair company and contractor alleging they were negligent in their work. The repair company later admitted it did not have a permit to do the work it had done at the pool. GFCI – ground fault circuit interrupters installed on all outlets to immediately shut off power if a difference in current is detected. ELCI – Equipment Leakage Circuit Interrupter installed on boats to cut electricity immediately if a leak is detected. There are several tools on the market that can detect leaking electrical currents in pools and lakes. Dock Lifeguard installs on docks to detect electrical leaks in water and on docks and lifts. Shock Alert detects electrical currents in pools, hot tubs, docks and marinas, water features and fountains, spas, and lakes. These tools flash red lights and emit audible alarms when an electrical current is detected. These are only two of the devices currently on the market. Do your research and find the solution that works best for your lifestyle and circumstances. Anyone who lives, works, and plays near freshwater needs to be aware of electric shock drowning risks, and be prepared to take action if it happens. The risks of water shock are present anywhere that electricity can contaminate water, including contamination from boats, docks, overhead power lines, dock or pool lighting, pool pumps, filters, vacuums, and things that we use when we enjoy water activities such as a radio. The first step is to test the water for electrical current before anyone jumps in or getting everyone out of the water if your testing device shows current. After you have entered water that is charged with electricity, your body may begin to tingle, and you may feel distress, may feel yourself weakening, and you may not be able to yell, wave, or signal for help as the electrical current in the water interferes with the electrical signals sent by your brain to move your muscles. It may feel as if something is holding you in the water and keeping you in place and it may be very difficult to keep your head above the water. If you are in a lake and you are able to move, swim to the middle of the lake or a point furthest from boats and docks. You want to be at least 100 feet from an electrical source. If you are in a pool and are able to move, try to get out of the water without touching metal ladders. If you are on a dock, beach, or sitting beside a pool, these are the signs of electric shock that you need to be aware of. Swimmers who are being shocked may not be able to signal their distress to you because of how the current affects the body’s natural electric impulses. Instead, a swimmer who is being shocked might be passive in the water or motionless. They may have a panicked or distressed look on their face from the paralysis they may be experiencing. You may notice other swimmers swimming away from the victim, and those swimmers may also seem distressed and unsettled. Swimmers who are being shocked may look panicked but may remain motionless or passive in the water as they may suffer paralysis from the electrical current. You may notice that other swimmers are heading away from the victim and acting odd or unsettled. Your first steps should be to call 911. Do not enter the water, instead throw a life preserver to the victim, if they cannot grasp or hold onto the life preserver, use a fiberglass Shepherd’s hook to encircle their body and pull them, face up, from the water. If the electric shock victim is unresponsive and not breathing, lay them on their back on a firm surface and begin CPR. You will start CPR with two ventilations, then 30 chest compressions followed by two ventilations (breaths). Repeat these steps until the person begins breathing on their own, or until an AED is ready to use, or until EMS can take over. If you do not know how to perform CPR, call 911 immediately to see if there is something you can do to assist the victim until help arrives. Learn more about electric shock safety plans and how you can help save someone’s life at the Consumer Products Safety Commission. We are currently investigating pool pump motor electrical shocks from across the country, and we want to hear from you or anyone you know who has suffered a pool shock from a recalled EcoTech EZ or Emerson pool pump motor. If a member of your family has suffered serious injury or death due to an electrical leak from EcoTech EZ or Emerson pool pump motors, contact us today. Boat owners, pool and spa owners, marina owners and operators, contractors and service companies all have a duty to ensure their property is safe and free from electrical leaks, just as manufacturers like Nidec have a duty to ensure their products are safe for use as directed. If they fail this duty, they may be held accountable for injuries that someone suffers due to that product. Victims who get shocked and the families of those who died from electrocution or electric shock drowning may be entitled to seek justice for the injuries sustained and the losses incurred because of those injuries. Fill out the form or give us a call to learn more about the recalled motors, the dangers of electrical leaks, and your right to seek significant compensation. We have been fighting for the rights of people harmed due to the negligence of someone else, and we will fight for you and your family. Contact us today to learn more.